We haven’t reported on progress at Charley Creek Inn recently. Things are moving along. Plumbing rough-in is complete. Strescore decking has been installed over the existing basement. And as can be seen in the picture to the right, the structural steel skeleton is nearly complete. Installation of the roof will begin this week followed by the installation of the second floor joist and deck. 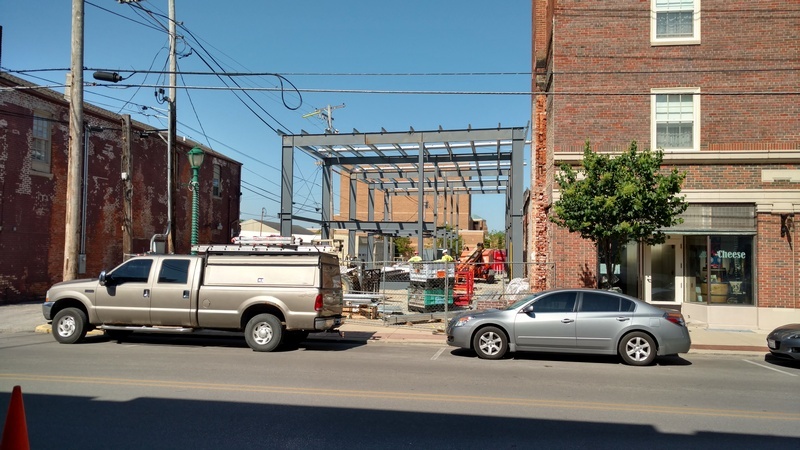 It is at this point that the building begins to take shape, though it won’t be until the masonry starts that the final “look” becomes apparent.